These games are graphically demanding and will push your system to the max. You'll want a powerful GPU at the heart of your system to achieve high frame rates and high graphical settings. Enter the exciting world of competitive gaming. Play some of the most popular games in the world. Usually less graphically intensive than adventure games or First Person Shooters, these games are all about speed, responsiveness and accuracy. 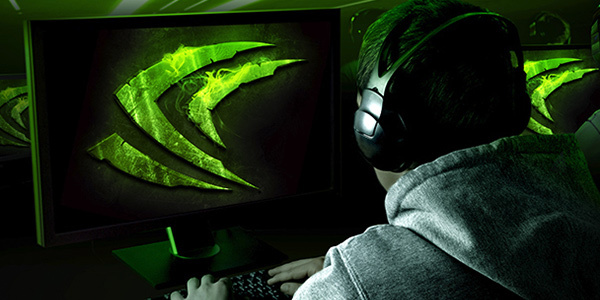 GeForce GTX cards, desktops or notebooks deliver the ultimate in performance reducing input lag, and maximising frame rates to give you the ultimate position to dominate your opponents. Strategy games put a large number of units on screen at a time and the graphics card has to render every single one of these. Win the battle and choose a graphics card, desktop or notebook that can handle the commands your PC or notebook demands of it. Fast gameplay requires super smooth execution. Make sure your PC or notebook doesn't stall or skip a gear with GeForce GTX power. Achieve high frame rates and amazing graphics. Make your racing game look the best with GeForce GTX.